Is your kitchen dysfunctional and over cluttered? Have you been searching for the best kitchen fitters Southampton offers? If so, your search is now over. 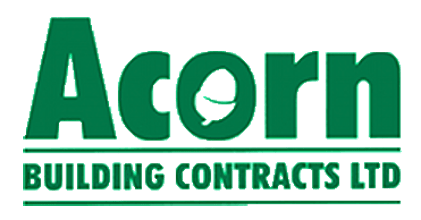 With more than 25 years of experience covering all aspects of the construction industry, no matter the size, scale or complexity of your kitchen renovation, Acorn Building Contracts have got you covered. To find out more about how our Check-A-Trade approved business can help transform your home, contact us with our kitchen fitters in Southampton now by calling us on 02380 243 336. Looking for the most exceptional kitchen fitters Southampton offers? When searching for the greatest team of kitchen fitters Southampton can offer, we’re entirely confident that you’ll be hard pushed to find a more distinguished alternative to Acorn Building Contracts. Over the last 25 years of reliable service, we have amassed a stellar reputation that precedes us throughout Southampton, Bournemouth and the surrounding areas. As well as building the units themselves, we also source, supply and fit worktops, appliances, sinks and taps. In other words, we’ll take care of everything. 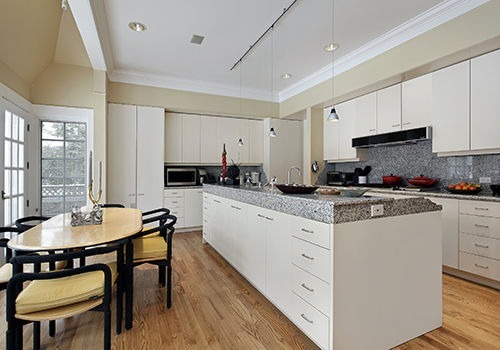 Other than the design of your kitchen, we will take charge of all aspects – from the demolition of the existing kitchen right up until the finished installation. You will always be kept involved and will receive regular updates on each stage of the process. The majority of our work comes from glowing word of mouth referrals from our existing customers who are happy to applaud our building works which demonstrates our impressive customer satisfaction levels and notable reputation for brilliance. To put your mind at ease, we have a 9.56 rating on Check-A-Trade for workmanship, courtesy and professionalism – a site where reputation matters. To find more information about our bespoke kitchens facilities, please follow the link to the scaffolding page of our website. Should you have any questions or queries, please do not be tentative about getting in contact with our specialist and courteous team now by giving us a call. We’d be delighted to share our wealth of expertise with you, offering impartial and honest advice to help you achieve your desired objectives. Out of all the kitchen fitters Southampton boasts, why choose Acorn Building Contracts? As a member of the National Federation of Builders and approved trader within the Southampton Trading Standards County Council’s Buy with Confidence scheme, you can be entirely confident that we’re an acclaimed and highly regarded construction company that you can trust. Drawing on more than a quarter of a century’s experience, regardless of the complexity or scale of your project, we guarantee to complete the works promptly and efficiently and to the highest standards possible. Do you still need convincing that out of all the kitchen fitters Southampton has to offer, Acorn Building Contracts is superior and a cut above the rest on the market? If so, we encourage you to familiarise yourself with some of the feedback we have received from our plethora of satisfied clients. Please do not just take our word for it that we’re second-to-none, listen to what our customers are saying about us and our kitchen fitters in Southampton. Additionally, it may also be worth having a look through our regularly updated and high-definition gallery should you need further assurance that we’re a company you can entrust today. Here you’ll find a multitude of images which demonstrate our broad and impressive capabilities as well as illustrating some of the recent work we have completed for our satisfied commercial and domestic clients. After all, they don’t call us the best kitchen fitters Southampton offers for nothing! Out of all the kitchen fitters Southampton has to offer, it’s clear to see that Acorn Building Contracts is the most obvious and superior choice – so what are you waiting for? To benefit from unparalleled building facilities, ultra-competitive prices and second-to-none customer service, give us a call today on 02380 243 336. Alternatively, you can register your interest in our Southampton kitchen fitters by emailing us at acornbuilding@gmail.com or by filling out the contact form on our easily navigable website. Rest assured, whichever you contact us we’ll always endeavour to get back to you as quickly as we can.